The issue has been a stumbling block since the UK prime minister had informed Brussels that London was leaving both the single market and the customs union with the bloc. British Prime Minister Theresa May has suffered a defeat in the upper house of the country's parliament, where her Conservative party has a slight majority, as it has challenged her refusal to remain in the Customs Union with the EU after Brexit. The House of Lords voted 348 to 225 in favour of an amendment to the EU withdrawal bill, which would require UK government ministers to report on what efforts they had made to secure a customs union by the end of October. The bill will enter into law only after both houses of the parliament will agree on it, after which Queen Elizabeth II is set to approve it. 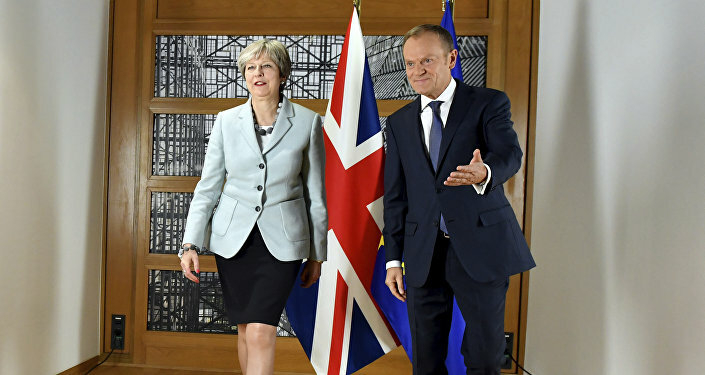 In the wake of Prime Minister May's announcement of the results of her talks on Brexit with Brussels in a landmark speech back in March, which included the UK government's decision to leave the customs union, as well as the single market with the EU in order to pursue an independent trade policy, but would remain committed to ensuring frictionless trade with the bloc, the issue has been a stumbing block in the parliament. In its turn, Brussels welcomed May's clarifications on the United Kingdom leaving the single market and the customs union, with EU chief Brexit negotiator Michel Barnier saying that London and Brussels needed to "pick up the pace" if they wanted Brexit negotiations to be a success. According to Barnier, the EU and the UK needed to complete the work on all issues regarding Brexit, including the Ireland border, this autumn. The bill that specifies the United Kingdom's withdrawal from the European Union sets 23:00 GMT March 29, 2019, as the exact time for the country's exit from the bloc. The document is set to end the priority of EU laws over UK legislation by canceling the 1972 European Communities Act, which formalizes London's membership in the European Union.